QUEENS — Police have released new surveillance video of the fire-starting "ninja" who they believe is responsible for setting seven suspicious fires in Forest Hills since October. The video, showing the man carrying a backpack and walking eastbound on 69th Road, was taken between 112th Street and the Grand Central Parkway around 12:10 a.m. on Sunday, Dec. 6. A few minutes later, a fire erupted at a nearby vacant home at 112-35 69th Road on that same block, authorities said. The home had also been set on fire on Nov. 15, but the blaze was put out before it was able to do serious damage to the property, officials said. The Dec. 6 fire, which was reported about 12:30 a.m. and put out shortly after 2 a.m., demolished the structure. Sunday's fire was the seventh in a pattern which began on Oct. 20 with a blaze that erupted at the former Parkway Hospital. 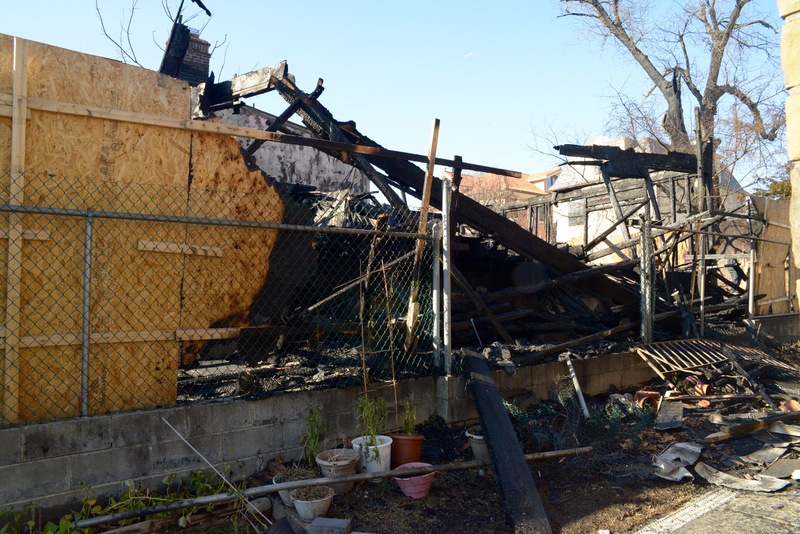 Five of the seven fires targeted homes owned by Bukharian Jews living in the Cord Mayer section of the neighborhood, between Jewel and 65th avenues and between Queens Boulevard and the Grand Central Parkway. Most of the structures have been under construction and vacant, and no one has been hurt in any of the fires. Another surveillance video released by police last month shows the suspect at the site of the Nov. 25 fire at 108-47 67th Dr. Based on that video, police described the suspect as being between 5-foot-6 and 5-foot-7, with a slim build and dressed in a hooded sweatshirt. 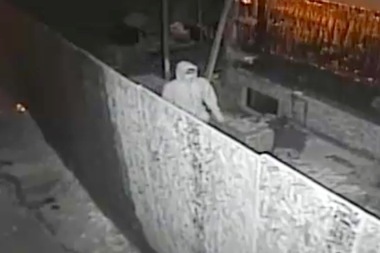 Investigators also have surveillance video from Nov. 17 captured at 108-49 66th Ave. which shows the suspect wearing all black and "looking like a ninja," entering a construction site shortly before the blaze erupted, sources said. The NYPD has increased patrols in the area and its Hate Crime Task Force is looking at the case, although the fires are not currently being called hate crimes. Sources said that detectives are considering several possible motives, including anger against the new homes built by members of the Bukharian Jewish community. 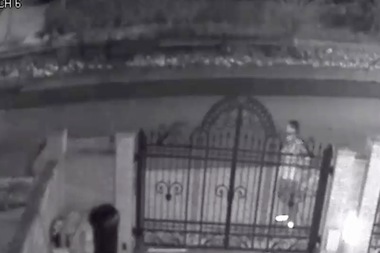 The Bukharian community is offering a $50,000 reward for information leading to the arrest of the arsonist, in addition to $12,500 already offered by Crime Stoppers.